NEW YORK, US: The number of homeless schoolchildren in New York is increasing and on track to reach more than one in seven elementary pupils, a new report revealed on Tuesday. Some 100,000 students, or nine per cent of city public school pupils, were homeless during the academic year 2015-16 – an increase of twenty percent in just 1 year, said the Institute for Children, Poverty and Homelessness. New York – a city of huge wealth disparity and America’s most populous city as well as its financial and entertainment capital – has long suffered from a homeless crisis. While the city has more billionaires than any other in the world, its unrelenting pursuit of wealth and gentrification means that those on modest wages struggle to find affordable housing. More than 140,000 children in city public schools have been homeless at some point in the last six years, the Institute said. If current trends continue, more than one inseven of all elementary school students will experience homelessness, said Anna Shaw-Amoah, principal policy analyst at the Institute. One in every six students classified as English-language learners were homeless in the academic year 2015-16. Being homeless has an adverse effect on school performance, even if children are subsequently moved into shelters or permanent housing, the report found. Students in shelters lagged behind classmates academically and one in four homeless students without middle-school proficiency dropped out of high school. 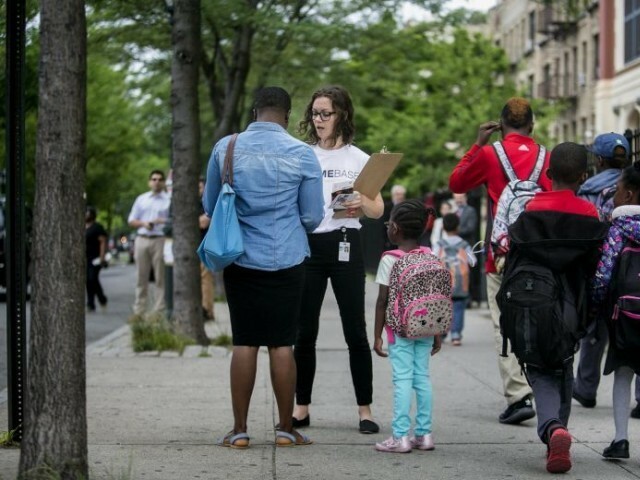 In four districts in the Bronx and Brooklyn, less than 46 per cent of homeless students graduated – significantly trailing the citywide average of seventy-three percent.